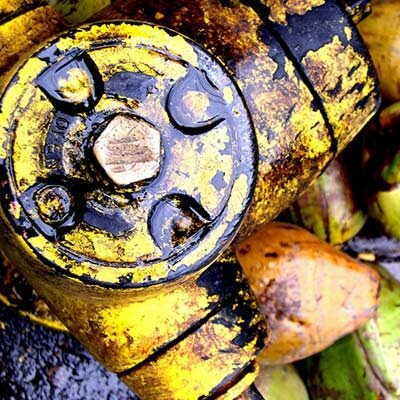 Need to Hire PW Staff? Perfect for Public Works new hires! Take a look around at photos of some of our hands-on training! What is the Center for Municipal Excellence? 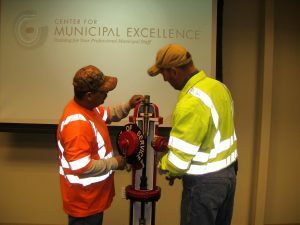 The Center for Municipal Excellence is designed to meet the specific training needs of municipal workers by offering standardized, competency-based training to public works employees. 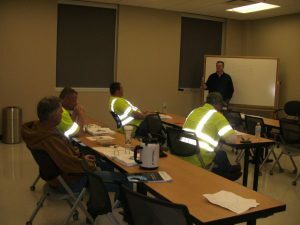 We help Oklahoma cities and towns save money by training their public works employees to safely and efficiently perform their jobs. See our Programs & Classes page for more information about the kinds of training we do. 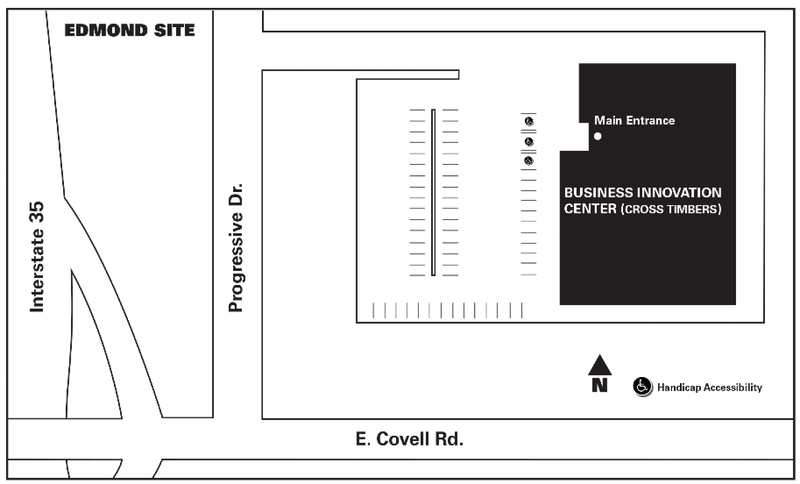 The Center for Municipal Excellence campus is in the Francis Tuttle Business Innovation Center located in Edmond, Oklahoma, just off of I-35 and Covell. 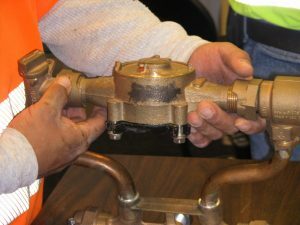 Water distribution system, complete with water main, valves, service connections, hydrants and water meters. Sanitary and storm sewer collection systems, complete with manholes and drop inlets (for storm sewer). The CME is proud of our instructors. Not only are they some of the leading subject matter experts in their respective fields but also very effective educators. Read on to find out what makes these trainers so special. Keith Trolinger earned a BS in Business Administration and an MBA from the University of Phoenix. Additionally, Keith is NCCER certified and has earned the ICTP certification. 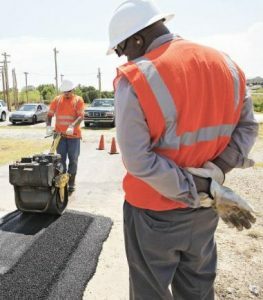 For much of his career, Keith worked as a Pavement Maintenance Specialist, Heavy Equipment Operator and Cement Finisher Foreman for the United States Air Force. He finished his 25 year civil service career work in the medical administration office at the Oklahoma City Veterans Medical Center. Upon moving into the civilian world, he worked for nine years as project manager for a general contractor in Oklahoma performing commercial and residential projects in eleven states. For the last seventeen years, Keith has been a member of Toastmasters International, where he has earned the title Distinguished Toastmaster, and served as Toastmasters District 16 Governor in 2007 – 2008. Keith joined the CME staff in 2009, putting to use his pavement maintenance training teaching our Street Maintenance and Repair courses, as well as some specialist-level courses. Bobby Turman was born in Edmond but moved to Western Oklahoma early in life. At age 17, Bobby joined the navy. Returning home, Bobby worked for a few years as a carpenter with his father-in-law, then embarked on a long career with the City of Edmond, first, as a dispatcher water well operator, then, a more active job on the line. In 1983 he was promoted to Assistant Superintendent of Water Line Maintenance and Water Well Operations. In 1986, Bobby transfered to Arcadia water treatment plant but in 1988 was asked to come back to Edmond and to serve as Superintendent. During this time, Bobby continued his education, attaining his Class A Water License in 1982 and his Class B Waste Water License in 1988. In 1998, Bobby retired from the City of Edmond, but ten years later was back as one of the first CME instructors. 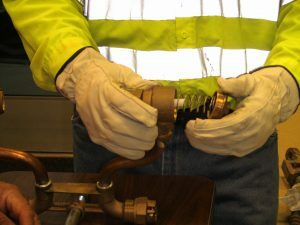 Bobby teaches our Water Line Systems Maintenance and Repair and Wastewater Line Systems Maintenance and Repair courses. David Frady has spent 35 years in the transportation industry. He has taught CDL classes in Arkansas and other locations. David is a Safety Director for an Oklahoma City truck firm. 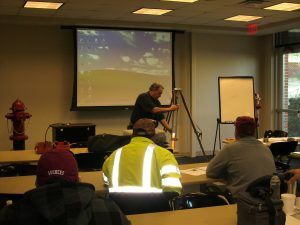 David teaches our Dump Truck Operations and CDL Test Prep classes.